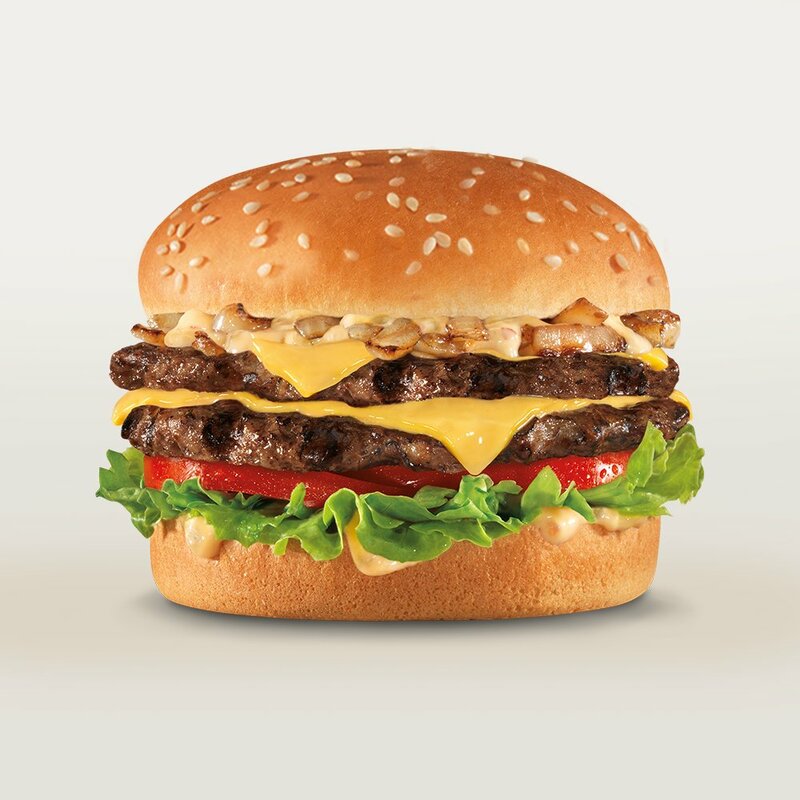 Sister fast food chains Carl's Jr. and Hardee's each recently posted a photo of the (fairly) new Classic Double Cheeseburger to their respective Twitter accounts but while one went with a fairly realistic photo, the other went with the standard Photoshopped image. I thought it'd be fun to look at the appeal of each shall we? Build-wise, the burgers are identical except that the Hardee's version comes with a sesame seed bun, while the Carl's Jr. one comes with a plain bun. This is the minimally post-processed but still posed photo. It actually looks like something you might get if you ordered for dine-in and they didn't squish the burger down while wrapping it. You can see creases in the bun and it doesn't have an abnormally perfect rounding to the shape. Likewise, the cheese is creased slightly at places. The tomato has a slightly under-ripened tone to it. There are just a few bits of onion peeking out from beneath the top bun. The beef is charred but the grilled marks aren't as prominent. Finally, these's a little crumb next to the bun to suggest, "Hey, a human made this." The burger has been put together a little too carefully and probably took 30 minutes to assemble. There's not much in the way of shadows as if it had been lit up from every direction. Everything is a little too shiny. The meat is glistening with char marks that somehow reach down the sides of each patty. The tomatoes are a too-perfect bright red and the bun is a little too buoyant. The sauce looks like it was artfully decorated onto the burger and the onions seem like they were all pushed onto the front side to be seen. The result makes it look like the burger fillings have been almost superimposed on the bun. It's a bit puzzling that the sister chains' decided to go with different pictures for the same burger but gives the juxtaposition gives an interesting look at how burgers are marketed. Personally, I prefer the Carl's Jr. photo but maybe customers are more likely to buy the burger looking at the Hardee's one? 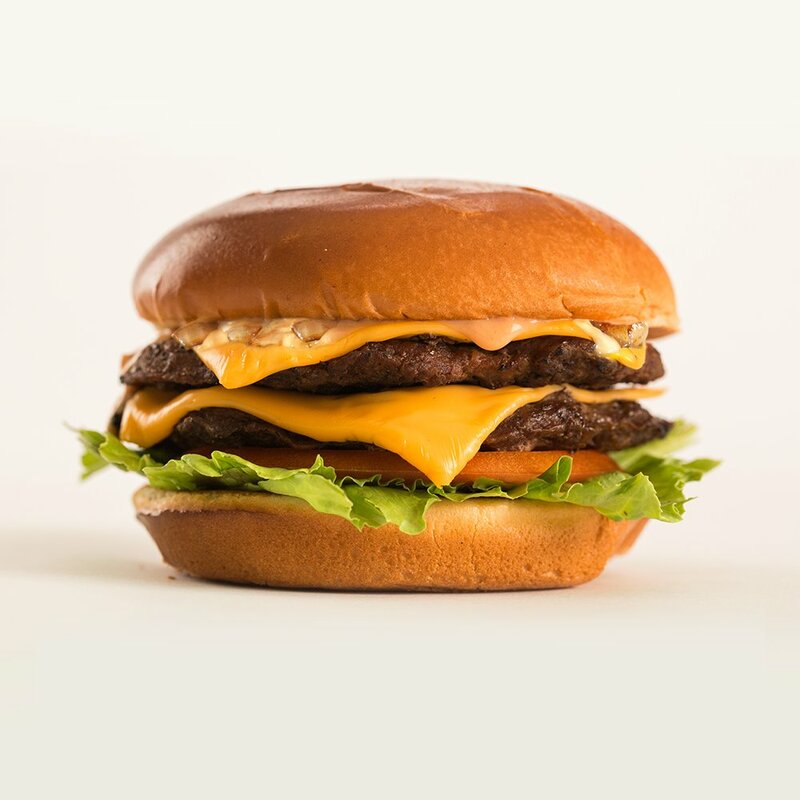 McDonald's actually put out a video of how they photograph the too-perfect burgers in their advertisements a while back. It's an interesting behind-the-scenes look at food photography that you can find here. In case you're wondering, my photo of the actual burger when I reviewed it turned out like this. Photos via Carl's Jr. and Hardee's.